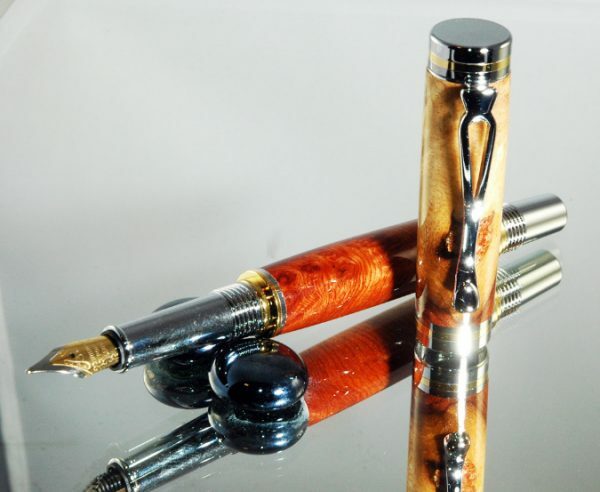 Top of its class, King of the pens, this is our Flagship pen. 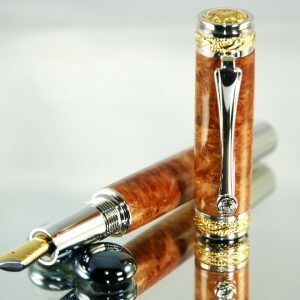 Made of Amboyna Burl with heartwood mixed in to give a two tone finish, this fountain pen is an epic masterpiece. 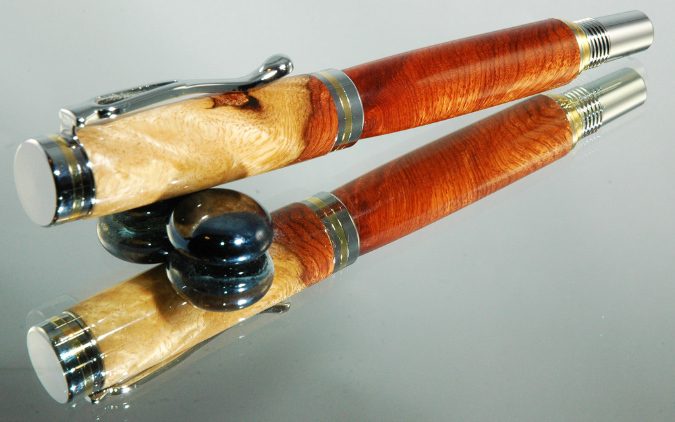 Elegant and impressive, are just a few words that describe this pen. 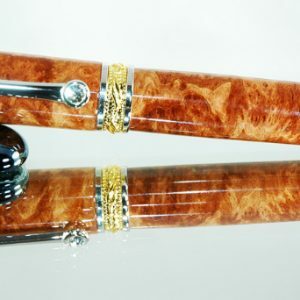 It is a well balanced, two-piece pen accented with Cobalt Gold and Chrome. 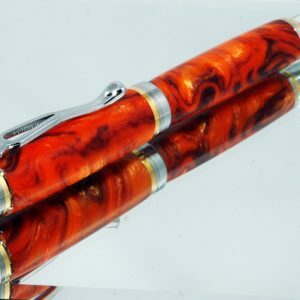 This is truly a one-of-a-kind pen and when it’s gone, it’s gone forever. 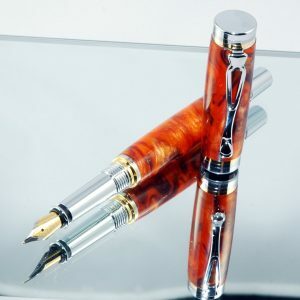 This is King Pens highest grade writing instrument.